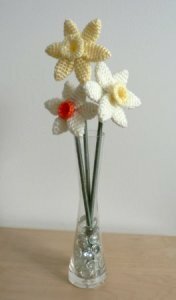 Another cute flower, realistic and not tacky at all (as some crochet flowers are) a quick easy way to have spring around all year! A very fast and fun pattern. Donate for it, it's worth it!